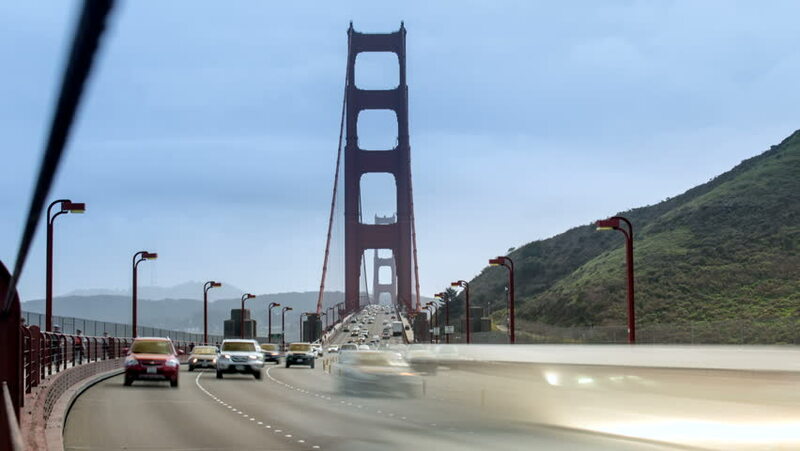 hd00:19Time lapse of the Golden Gate bridge with cars coming right past the camera. Shot from the pedestrian walkway looking towards San Francisco. Zoom version made from a 4k original. hd00:15USA, San Francisco - April 20: Traffic cars on the Golden Gate Bridge on April 20, 2013 in USA, San Francisco. hd00:06Vintage point of view of car crossing Golden Gate Bridge from Presidio Pacific point to the north. In the traffic to and from the city.